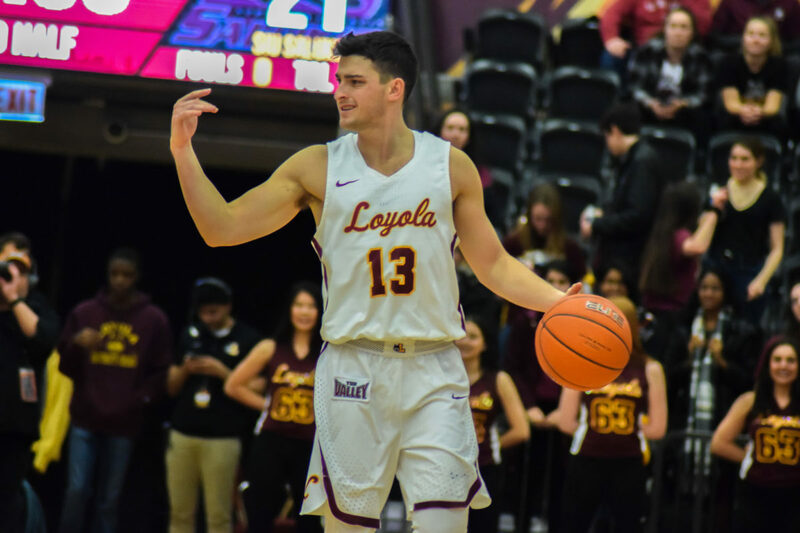 When the Loyola men’s basketball team (13-8, 6-2) got trounced by Missouri State University Jan. 23, it sent shockwaves throughout the Missouri Valley Conference (MVC). Was it a typo on the screen? How could a Final Four team lose by 35 points? Could the Ramblers recover? Spoiler alert: They recovered. Not only that, but they showed signs of a team finally putting it all together. 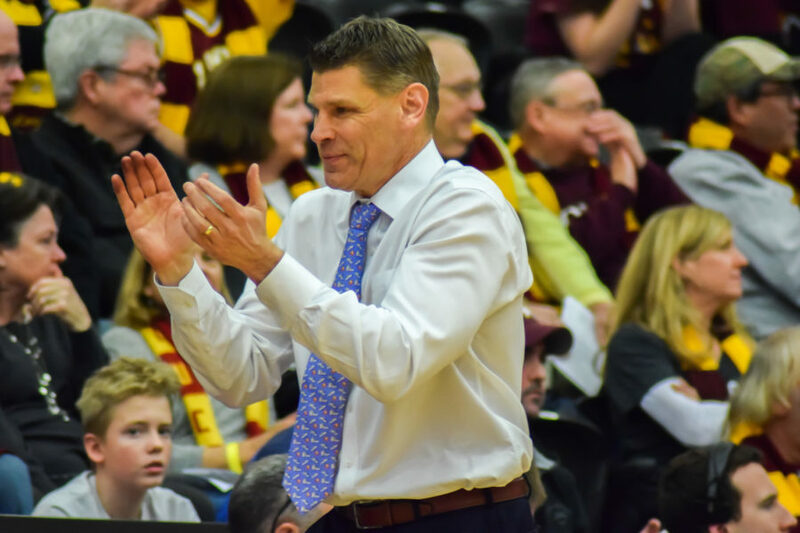 Loyola knocked off Southern Illinois University 75-50 Jan. 27 and, coupled with Valparaiso University’s loss to Drake University the night before, was vaulted into sole possession of first place in the MVC. The victory did more than just move Loyola into the top spot. It provides the Ramblers with an opportunity. The MVC is officially Loyola’s for the taking. Loyola’s only ahead by one game — Drake University and Illinois State University are tied for second place at 5-3 and Valparaiso fell to 5-4 with a loss Jan. 29 — but that gap could widen in the next few weeks. Keep in mind, Loyola’s beaten all three of them already and will have another dance with each in three of its next four games. 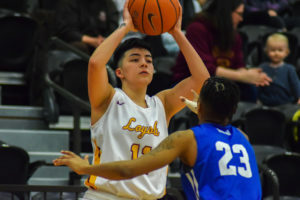 If it creates a little more separation, Loyola could cruise to its second straight regular season title. But is Porter Moser thinking that far ahead? Don’t bet on it. Is it cliche? Incredibly. In fact, it’s one of his favorite cliches. But he’s right. He’s seen it all. 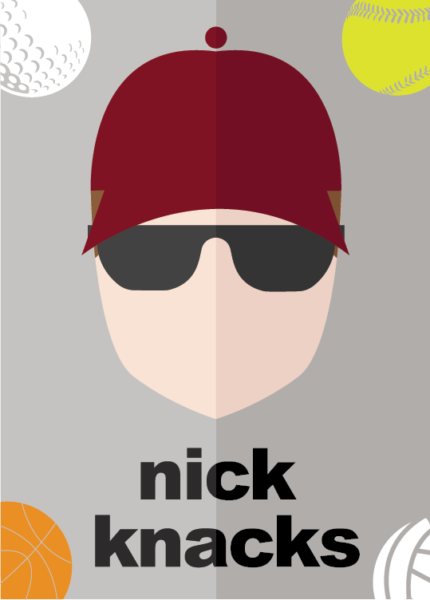 He played collegiate ball at Creighton University — which was in the MVC from 1976-2013 — and coached at Illinois State from 2003-07. He knows his team needs to jump at the chance to create separation from the rest of the conference. It’s not going to be easy, though. Between the craziness that’s occurred in the standings this year and the loss of sophomore guard Lucas Williamson to a potentially season-ending injury, the Ramblers have their work cut out for them. They can do it, but the success has to carry past the last regular season game. It has to go at least four games farther to the championship game of the MVC Tournament and, ideally, to the NCAA Tournament. No matter what happens in the regular season, anything can happen at Arch Madness March 7-10. Remember when No. 10-seeded Loyola defeated No. 7 seed Bradley University in the first round in 2014? It’s still a month away, but this season’s unpredictability will certainly put the “Madness” in Arch Madness. For now, Moser’s team has to focus on seizing the opportunity to create separation in the regular-season standings. It’s no secret by now that the only way an MVC team gets into the NCAA Tournament this year is by winning Arch Madness. It’ll be a one-bid league for the third straight season. If Loyola can extend its lead to two or even three games in the next couple weeks, that weekend will be at least a little easier. Ten games remain on the schedule for Loyola, meaning we’re approaching the halfway point of conference play already. The Ramblers could easily string together some wins and make it back to the big dance.